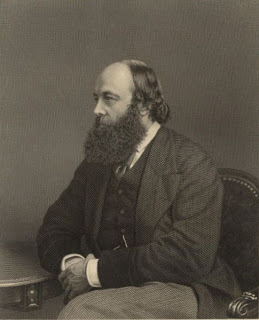 So how did Lord Salisbury this remarkable reactionary, aristocratic intellectual achieve so much for his party making it competitive and even dominant in British politics? Partly it was through the shrewdness of the issues on which he opposed. He found issues where the tide of reform and opposition to "privilege" was not supported by the public. Home Rule was the ultimate example of this. As already mentioned it was the support of Catholic/ Irish voters on mainland Britain which had prevented the liberals gaining a majority of the seats in the 1885 election and thrown the ability to break a government to the Home Rulers. It must have seemed very tempting to try and do a major deal with them and after all Salisbury had already done something -to gain the votes of their British resident supporters he had committed to reducing Gladstone administrations restrictions on civil liberties in Ireland. But Salisbury very shrewdly did not. This did not just postpone Home Rule by over 3 decades but gave huge benefits to the conservative party. It shattered the liberals-and not just that but precipitated huge defections. The Whigs who'd been dithering on the edge of the liberal party for decades (despite generally being at least a 1/3 of Gladstone’s average Cabinet) broke away. So more did group of former radicals based around Joe Chamberlain and John Bright-and over the next few decades these "liberal unionists" grew integrated into the same parties. The combination of this split and general defections over the issue were enough to make the conservatives and their increasingly cooperative allies win all but on of the subsequent elections under his leadership. Finally it proved a very powerful issue for the next few decades-probably the most dangerous grounds of all issues (with the closely related Boer War-also a Salisbury project) for the liberals to fight on. It did not however consist of going out on a limb on unpopuolar causes. He knew how to pick fights as well as how to win them The classic case of this was Franchise extension. Salisbury as already mentioned was very hostile to such extension in principle. But in the 1880's he did not use the Conservative majority in the Lords to block it- he avoided a "peoples budget" style confrontation decades early. Instead he used the lords majority to win concessions for redistributing- in theory a "liberal progressive" reform-but in practice a big help to the conservatives separating middle class suburbs from liberal towns. The ultimate example of his willingness to be political on the franchise twas his willingness to consider female enfranchisement on the same terms as men-realizing that the affluent minority of property holding or renting women would be a lot more conservative than the national average. Salisbury's willingess to enter into a certian degree of social reform was also an example of his flexibility in the light of events and willingess to make concessions to electoral reality. In his housing reform Salisbury expanded the very small degree of welfare state-though it still was extensive compared to Disraeli's even more minimal reforms. The reforms followed Disraei's motif in being both modest and being run at a local level-minimising them being a threat to the power of local elites or the cohesion of local communities in a rather Burkean way. However the great social reform of Salisbury's period was Land Reform in Ireland- which involved huge compulsory purchase of estates and their long term allocation to farmers. This could perhaps be seen as both the greatest policy failure and greatest policy success of Salisbury’s government. On the one hand it failed in it's purpose to end support for Irish Nationalism. Home Rule parties continued to get the same share of the vote (any minor decline being due to division over Charles Parnell being cited in a divorce) and indeed after World War 1 supporters of full independence would gain a majority of seats and make 3/4 of Ireland an independent state. In this it fits a general patter with land reform which perhaps because it promotes instability , perhaps because it is a later attempt to prevent it , seems to disproportionally go before the collapse of a regime. On the other hand it was designed to break support for the radical and terroristic activities of the land league and opposition to enforcement of land ownership rights -and in that it was triumphantly successful -arguably helping maintain law and order in Ireland for decades. It also brought about a long term ideological shift in Irish politics. Ireland had previously been a radical area hostile to landowners and property. But post independence Ireland was very different-in some ways it's government can be seen as representing a form of Catholic Toryism. It was Protectionist, nationalistic, almost obsessively protective of property, more restrictive of union power than the UK and minimal in its welfare state . This of course goes some way to explaining paradoxically why liberals were so deferential to the Irish party in the 1910 parliament (when the Irish held the balance of power) -because the Irish naturally supported them little on non constitutional issues they needed to be satisfied on constitutional ones. This in turn further inspired Tory fury-feeling as they did they commended a majority on issues but were being defeated by an “illegitimate” log ruling coalition enthusiastic on particular issues- this led to a Tory love affair with referendum that would stay strong for decades. But perhaps Salisbury's greatest achievement was his ability to expand his coalition. He carefully manoeuvred to bring in for the long term those elements of the liberals alienated by Home Rule In many ways the "Whigs" had long been natural allies their support of a broader constitutional settlement that brought in the middle classes and dissenters was now much less relevant than their opposition to attacks on establishment ,the Union and property. Even so Salisbury sought to keep them on board by essentially offering Harrington the role of Prime Minister-twice! But Joe Chamberlain had been regarded as on the radical wing of the liberal party and it seemed a temporary split. Indeed chamberlain himself probably wanted to wait till Gladstone retired nd then take over the liberals- Unfortunately for him Gladstone though already nearly 80 carried on the leadership for another eight years by which time it was too late for Chamberlain. Salisbury carefully refrained from issues such as Anglican education that would have alienated Chamberlain. Indeed Land Reform was an issue that appealed a great deal to Chamberlain-and it was a conservative government that was to introduce it! There was also one Whig who it is very impressive Salisbury managed to accommodate-Lord Derby. The son of the Prime Minister he had left the Conservatives in the late 1870's for the liberals/Whigs over Disraeli's foreign policy. He had married Salisbury's stepmother and was clearly hated by Salisbury- Andrew Roberts suggests that Salisbury suspected he had committed adultery with his wife when she was still married to Salisbury's father. But nonetheless Salisbury cooperated well if not happily with Derby as leader of the Liberal Unionists in the Lords. The reader may have noticed one absence-organisation. Partly that is because Lord Salisbury had little positive to do with the huge increases of organisation in the Conservatives in this period. It is also because I believe it’s impact has been exaggerated-the development of a structured organisation did not correlate closely with conservative victories. Above is another picture of Salisbury-the man who made the conservatives-essentially for the first time since the mass franchise the majority party. But was there a conservative electoral majority after Salisbury. I agree he won elections- but for the next fifty years (1900-1950), the Conservatives only won one election as a purely Tory government (1925)- everything else they won as national or coalition governments (1918, 1931, 1935)- it does strike me that we can overrate the strength electorally of conservatism during the early twentieth century and therefore of the durability of Salisbury's electoral acheivement. I think the Tories did dominate politics post-Salisbury, but not by much. Although the 1918-22 and 1931-40 governments were coalitions, they were ones in which the Tories had the bulk of seats. In terms of Salisbury's political tactics - I think he was clever not to make free trade/protection an issue when he was in power. He also knew how to appeal to the middle-classes and to the "civil libertarian" view re alcohol. The Home Rule issue, though, I think was one where he made the "right" choice [in terms of maximising support electorally] but the "wrong" choice in terms of settling the Irish Question. Perhaps if the First or Second Home Rule bills had gone through, things would have been a lot more peaceful in ireland in the 20th century - the legitimate demands for self-government and autonomy of the majority would have been met and a residual connection with the UK would have remained to keep unionists happy. Didn't I leave a comment yesterday? One more thing I would like to voice my disagreement with is the 4th paragraph where it says "Salisbury understood that it was possible for Conservatives to win by taking clear stands sharply separated from their opponents- something in which he has been followed by every other successful Conservative leader whether Baldwin , Churchill or Thatcher". I think this is, in general, incorrect. I think the strength of the Tories has been their pragmatism. Salisbury didn't make it a litmus test whether people were free trade or pro-protection. He didn't commit the Tories to opposing all social reform. The one issue he made a dividing line over was Home Rule. That was very finely crafted, since it was an issue he could use to pit the Protestant majority in the UK against the Catholic Irish minority. Otherwise, he was very pragmatic. I also think that the success of Baldwin was pragmatism. He and Austen Chamberlain were moderate Tories who were prepared to take on board ideas and to co-operate with other parties. In 1918-22, the Tories supported the Lloyd George coalition. They thus did not set up a clear dividing line between the Tories and the Liberals. In 1931, as well, to avoid a left/right and class-polarisation of the election, Baldwin forged a coalition. Eventhough 9/10 National gov't MPs were Tories, they were underrepresented in the top jobs. I think, at one pt in the early days, there were 4 Tory, 4 National Labour and 2 Liberal ministers in the Cabinet. The Conservative Party could not win an election on the middle-class vote alone. it needed working-class votes. As such, I think it generally avoided polarisation and sharp dividing lines in the inter-war period. Post-1945, too, the Tories were very pragmatic and respected the Attlee government's settlement. They continued to support the welfare state and the NHS and to keep the nationalisd industries [bar steel and road haulage] in public hands. It is only the Thatcher gov't that seems to be very ideological - and even she shied away from privatisation until 1984. She also told voters 'the NHS is safe in our hands'. The Tories have thus not been particularly ideological and not been keen on clear dividing lines and I tihnk this has been one of their strengths in the whole post-1886 period (and especially in 1918-79). James you did I think on the other Salisbury post- there was no comment on this from you- at least there is none at the email address blogger emails comments to me at. Lot of comments here on the first few. I don't think there was necessarily On Gracchi a conservativbe electroal majority after Salisbury-0that was more a post world war one development. But i agree with Vilno that they did tend to win more often thanb not-Salisbury can be seen as the roots of this dominance. I think the coalitions are as bit misleading and not just becuaes the Torius had an absolute majoirty . all the Evidence is they would have won the three elections in question by landslides anyway (and frankly in 1935 i don't think if every candidate had been called "conservative" or Unoinist it would have made a difference). For example in 1922 non coalition conservaitves did about as well as coalition conservatives. Home Rule i think risks getting tangled up in political debate-I think though one point is that there's alos the question of whether if Ireland could opt out of the tight union why couldn't Ulster or at least hte more Protestatn counties such as Antrim and Down) opt out of It. none of the liberal attempt to introduce Home Rule pre war exempted Ulster or gave it separate , and the case for Ulster against Ireland is rather similar to the case for Ireland against the Union. James see the earlier post- thanks again for t5he comment. I think firsl you've read more into what i was saying. My point was that salisbury understood it was possible to win from clear stands-not (as I say elsewhere) that he didn't take pramgatic stands on a huge variety of other issues. Nor is it meant to say the Tories do best when they have no alliues- the point is they have domne best (by and large) when their is a a clear difference between them and their opponents. I actually think tory pramgaticism is easy to exaggerate-in that I would say Labour and (when they were the seonc party) the liberals have swallowed issues they would prefer to bring up as much as possible-and it's not really possible to think of either of them blowing a solid majority on going to the country on an issue the way Baldwin did in 1923 with years left on his tenure-of course that was one clear choice in which the tories did not win so my point cleary has limits! (though Labour did not win either). Obviously this is a generalizatio-i'm sure you would never say that issue choicwes never hurt the Conservatives and nor would I say they always hel-im fact over a century either theory would be presumptively absurd. The best evidence is post war. The British social atittudes survey (whci i think is a 60's innovation) suggest the elections with the most perceived difference between Conservatives and Labour were 7,83,87 and 92, the ones with the least 70,97,2001 and 2005. Thus the Tori8es won all 4 of the most polarizing elections and 1 of the least. Another way is to compare the landslides , Tory big victories have been when there have been sharp contrasts betwene the parties. The arguably exception is 1918-though even then i supect the claim they would be much more hardlien on Germany was a big contribution. This is true of 31-less the 31 invoivled the conservatives endorsing coaliton-but that is not the same as not given a clear choice on issues. The Conservatives ran hard on that election on big cuts in public expenditure and to a lesser extent higher tariffs-both opposed by Labour. On the other hand the great landslides for labour 45, 66 and 97/2001 have come at times when there was no clear polarization on issues- save arghuably the first but then the election was not won on that. of course lots of polar4zing elections (56,51 and the two in 1910) have led to narrow Tory victories or defeat. The discussion does seem to turn on what is a "polarising" election. Every election has issues that the parties take distinct stances on - but I would say, on balance, the Tories were the less ideological party and only took strong issue stands rarely. 1923 was the exception where they presented a protectionist platform to the electorate and lost. In 1918,1922 and 1931, 1935 [as well as, in my view 1950, 51, 59, 64, 66] they presented themselves as a pragmatic, cross-class party as opposed to Labour which they presented as 'ideological' and a working-class party. They also, of course, in the 1950s relied a lot on instrumental voting - voters voting for them because the economy was going well. i definitely agree on being cross party. I also agree on attacking the oppostion as "ideological" but what is ideological is in the eye of the beholder- and itself suggests clear polarz9ing divide particualry when as in 1931 the "ideological" consists of oppsign policy change by Conservatives! I also would not exaggerate the gap between Thatcher tories and before- the former a lot less ideological and the latter a lot more than they have credit. Obviously a pure middle class appeal would have been suicide for most of the century (interestingly Camerounism is arguablly closest the conservatives have got to a middle class specific appeal in some ways). I think the nearest to that kind of "polarsing"appeal was in the very close elecions in 50 and 51 that were heavily (at least by tories )thought against planning , rationaing and more nationalization-but even that had a strong appeal to large secions of non unionized working class even if most of the gain was done through massive gains among middle class.
. But cross class is not the same as non ideological or even without large ideological difference, the class differrence in Northern Ireland is tiny and dependent . There's no strong class divide in Mexico etc. I think the key thing is pragmatic and class crossing do not rule out winning through clear differences- indeed they can help it.